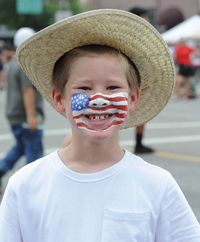 The Fourth of July is a day for Idahoans to celebrate more than the nation’s independence. By fudging just a few hours, July 4 virtually coincides with Idaho becoming the 43rd state in the union the day before on July 3, 1890. Statehood for Idaho also drew attention to the unique roles women played in the state’s early years and in public affairs. The original Great Seal of Idaho, for example, was designed by a woman, Emma Edwards Green, an art teacher who had stopped in Boise for a vacation, but stayed on and entered the competition to draw the state seal. Green also was the only woman to design any of the states’ seals. On March 5, 1891, Idaho Gov. Norman Willey awarded Emma Green a $100 honorarium for her successful design. Even more than a century ago, Idaho women were making their mark in history. Emma Green was but one of many. Another was Helen Louise Nichols Young, who became the state’s first female lawyer, despite Idaho statutes that limited the admission of attorneys to “white males.” However, in October 1895, the all-male Idaho Supreme Court unanimously ordered Young admitted to the state Bar. Thereafter, Young became a leader in Idaho’s movement to gain voting rights for women. In November 1896, the Women’s Suffrage amendment to the Idaho Constitution was adopted, making Idaho the fourth state to grant the vote to women and 24 years before the U.S. Constitution was amended to allow women the right to vote. The small Idaho town of Parma also created history—it elected Laura Starcher as the first woman mayor in the nation. In what would later become Idaho County, an Indian woman named Akeblemot but known as Too-la, was a heroine in the war of 1877 between the Nez Perce and U.S. soldiers. She rode 26 miles on a borrowed pony through rough mountain trails to Florence to deliver a letter warning settlers in a Slate Creek stockade of a planned Indian ambush. For her heroism, she was the only Nez Perce given a plot of ground outside the reservation where she made her living driving pack trains, selling dried fruit and taking in laundry. An early millionaire from Idaho silver mining was May Awkwright Hutton, who often dressed as a man. She and her husband struck it big in the late 1800s with a little mine in northern Idaho known as the Hercules Mine.